A piece on the BBC website about the Easter Islands caught my eye this morning. It made me think about a conversation I had on Friday morning out by the lakes in Jajce. I was drinking coffee with a local friend who was saying it was a shame more had not been done to develop the potential of the lakes as a leisure destination. It's true they have huge potential, their banks bear testimony to various efforts down the years to capitalise on this, yet it's fair to say much of this potential remains unfulfilled. I'll confess my knowledge of the Easter Islands runs little deeper than recognising the origin of the giant talking statue in Night At The Museum, but their story got me thinking over breakfast today about the pros and cons of achieving potential. The lakes in Jajce could easily become one of central Bosnia's go-to summer locations, but at what price to the local community. We know the lakes are loved by the local community but perhaps the price of overcrowding and possibility of permanent scaring on a beautiful landscape are worth paying for the jobs and revenue an upturn in tourism could create. Jajce is a town, or city, with charm and character and fair helping of rich history and natural beauty. It does get tourists but it is not a touristy place. This gives it an engaging authenticity. 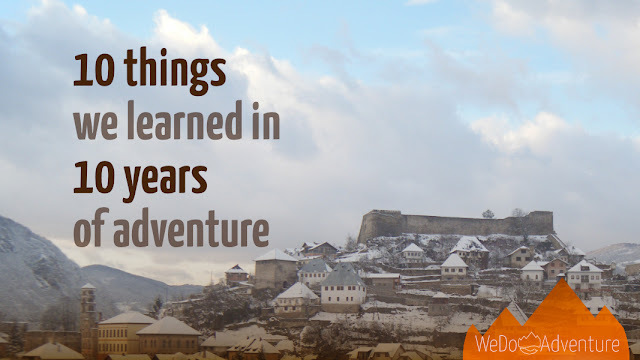 We heard someone say Jajce used to be the biggest tourist destination in former-Yugoslavia, a fact which, if true, is not entirely surprising given its place in both Bosnian and Yugoslavian history. It has heritage if not the badge to prove it: the Easter Islands have their UNESCO World Heritage Site status while Jajce remains just a candidate of its. Nobody I've spoken to is sure if or when this status will change. And who knows if or when the town will. It is easy for me to say I'd hate to see it ruined by development, I think the more pressing issue for most local people is they'd love to see some jobs and some money return to the area.